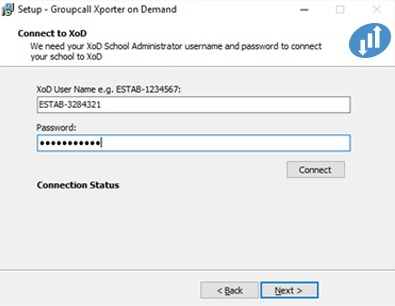 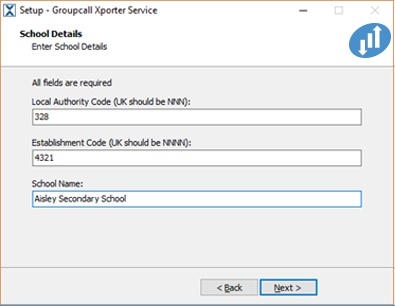 Your head teacher should send a request to Scholarpack to enable Groupcall integration for your school. 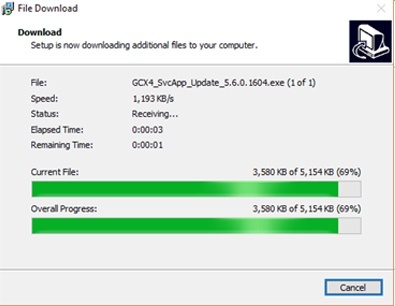 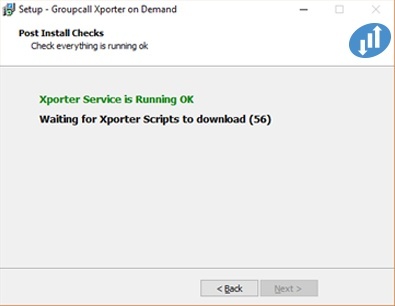 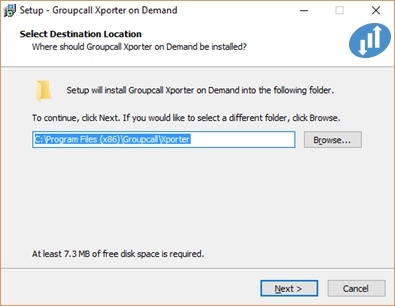 Once enabled Scholarpack will inform us and we can host Xporter for you. 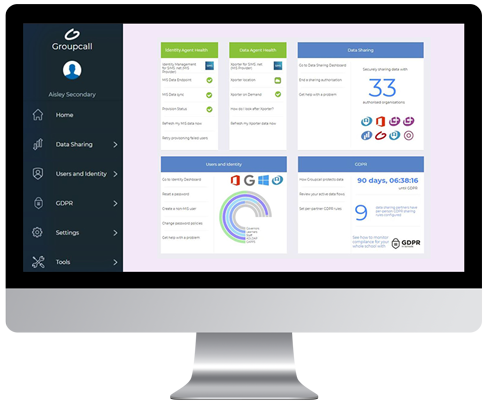 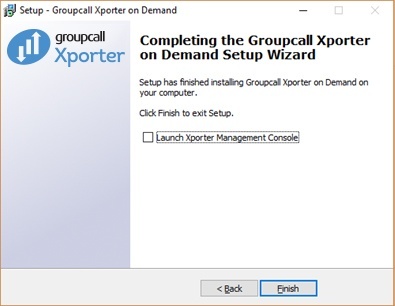 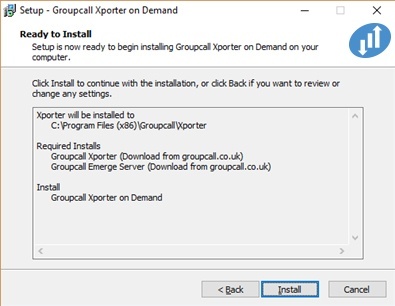 If you wish to set this up please contact our support team for further instructions (Tel: 020 8506 6100 Email: support@groupcall.com). 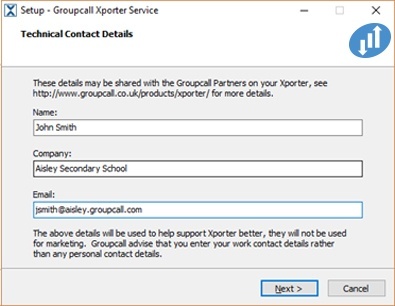 However, should you wish to host Xporter yourself please let Scholarpack know and continue with this document. 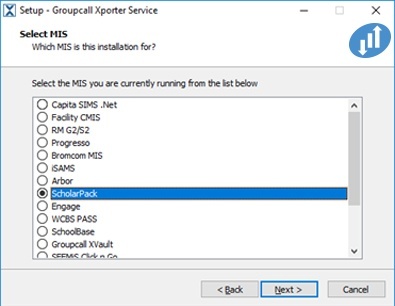 Select ScholarPack as the MIS you are currently runing and click Next. 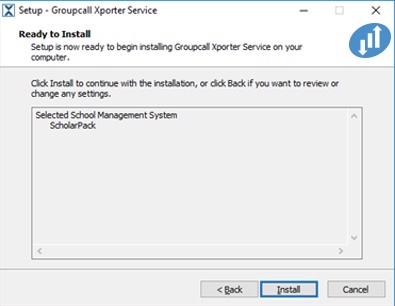 Confirm ScholarPack is the MIS system you are using and click Install. 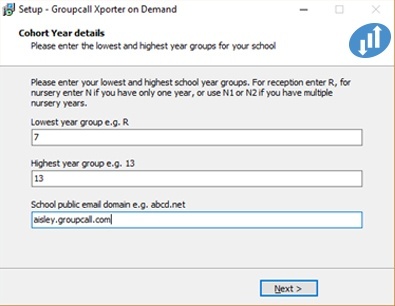 Enter the relevant details. 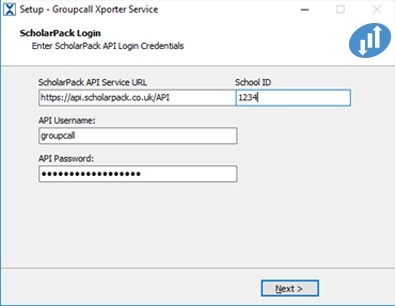 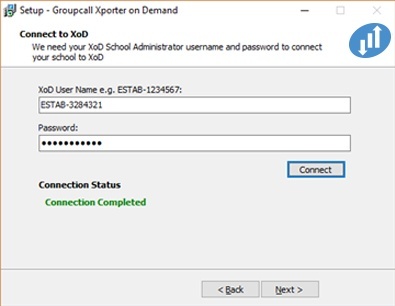 Scholarpack should provide you these details when enabling your school for Groupcall integration.